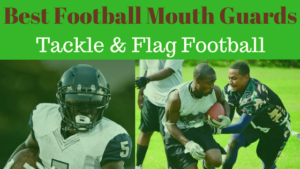 Find the best Ohio flag football adult leagues, pickup games and tournaments in the state. 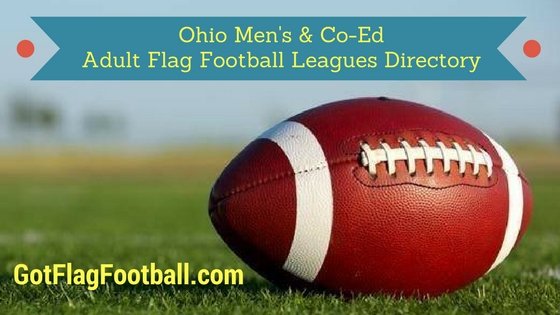 Below you’ll find the top up-to-date for 2019 list of fall, winter, spring and summer, indoor and outdoor local flag football leagues, pickup games and organizations that offer tournaments, organized from the highest to least populated cities and towns in OH. 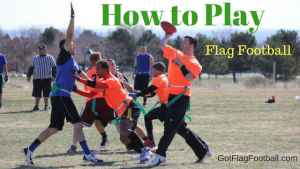 GotFlagFootball.com brings together the recreational and competitive local flag football community of Ohio organized leagues, city recreational leagues and pickups in one list (in alphabetical order), so that it’s easy to find a game near you. Partnering with the USFTL, the City of Columbus, OH Parks and Rec department offers mens adult flag football in three season each year. Tournament play is also facilitated through this partnership. Sports Monster provides adult flag football in Columbus, OH. Featuring organized sports leagues with trained refs and all equipment provided, Sports Monster offered co-ed in 8 on 8 and mens 4 v 4 formats. NCAFFL is Cleveland’s main GLBT/S adult flag football league for men and women. Founded in 1999, the North Coast Athletics Flag Football League offers multiple seasons of action per year in Ohio. Cincinnati Sports Leagues features multiple options for football action in the Cincinnati area. Men’s competitive formats of 8 v 8, as well as co-ed for both women and men 5 on 5 or 8 v 8 are available through CSL. Lost Nation Sports Park (LNSP) is a multi-sports complex which hosts 6v6 men’s and co-ed adult flag football leagues each Fall, Winter and Spring season. Their state-of-the-art complex is composed of basketball courts, indoor and outdoor turf fields, and batting cages. The complex is utilized to host multiple flag football leagues throughout the year, in addition to as many other sports, as possible. 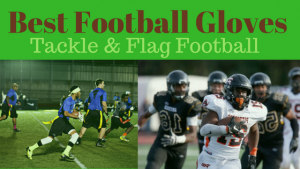 Greater Cleveland USFTL Flag Football League features mens adult flag football in areas in and around Cleveland including, Willowick and Euclid, OH. The format is 8 v 8 and there are multiple divisions to choose from depending on each player’s level of competition and skill. 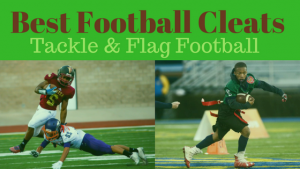 Northwest Ohio Flag Football offers mens and co-ed competitive adult flag football in the Toledo, OH area. Formats include mens 5 on 5 and 8 v 8. There are several divisions depending on individual players level of skill. Additionally, there is a tournament to determine league champion. River’s Edge Indoor provides adult flag football in 7v7 format throughout the year. Winter, spring, summer and fall seasons are available. Two divisions are features, lower or upper, based on desired level of competition.